The Flipkart big billion days sale is back. Flipkart announced about their big billion sale one again. On Monday the group of Flipkart announced the dates for this year’s big billion sale. They said that the sale will begin on October 13th and will end on October 17th. 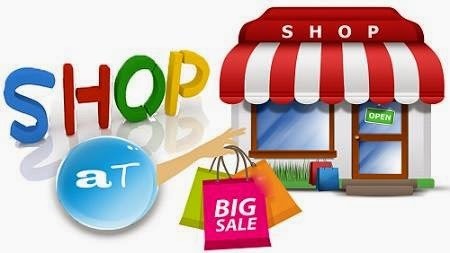 Last year the sale was held on October 6th and users can buy their products through the website, but this time it is not possible to do shopping through website. This time it’s just possible via Flipkart app. "The sale will be special to shop for gifts and other items. Customers can shop for apparels, footwear, mobiles, furniture, laptops, toys, large appliances, jewellery, watches or home furnishing items," Flipkart's commerce platform head Mukesh Bansal said in the statement. Myntra which is a fashion portal will be the special part of the sale as last year Myntra brought maximum stake for Flipkart and it was expected to be around Rs 2000 crores. "India shops the most during this time of the year. With 75 percent of traffic coming via mobile, we expect this 'app only' sale to be the biggest shopping event of the year," Bansal, who is also Myntra's chairman, noted. "We have opened new fulfilment centres across the country to guarantee efficient delivery. We have also ramped our technology and supply chain support to meet the huge customer demand.... We have also roped in our partner banks to give Flipkart customers exclusive offers during 'Big Billion Days," Bansal added. Last year also Flipkart launched its big billion day sale but users had faced a lot of problems while buying the products in the sale. They faced few problems like enraged buyers for 'cheating' on discounts and problems faced by users while making purchases, from site crashes to wrong prices and other errors.